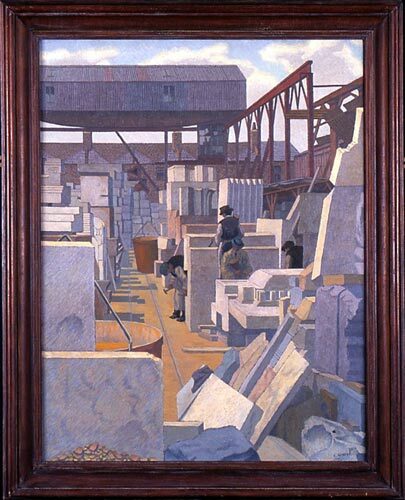 Caption: The Stoneman`s Yard by Charles Ginner, 1921. Signed. The site of the yard is not known.It was painted at a time when Ginner was working in London. Ginner was trained in Paris, influenced by the impasto painting of Van Gogh and an important member of The Camden Town Group.